Florida’s most embattled election official is resigning, effective January. After drawing more criticism than anyone in the state during the — at times — messy recount that unfolded in Florida following Election Day, Broward County Supervisor of Elections Brenda Snipes has submitted a letter of resignation to Gov. Rick Scott. “Although I have enjoyed this work tremendously over these many election cycles, both large and small, I am ready to pass the torch,” Snipes wrote to Scott. She asked for her resignation to be effective Jan. 4, 2019. Snipes had previously hinted she might step down after 2018’s vote recount had finished, but she had not said so definitively. A county official who does not work for the state, Snipes was first appointed in 2003 and had been re-elected since. Snipes drew more attention and criticism than any election official during Florida’s vote recount, which ended Sunday with local election officials racing to meet a noon deadline to send results from the race for state agriculture commissioner and the U.S. Senate contest. Scott defeated sitting Democratic Sen. Bill Nelson. 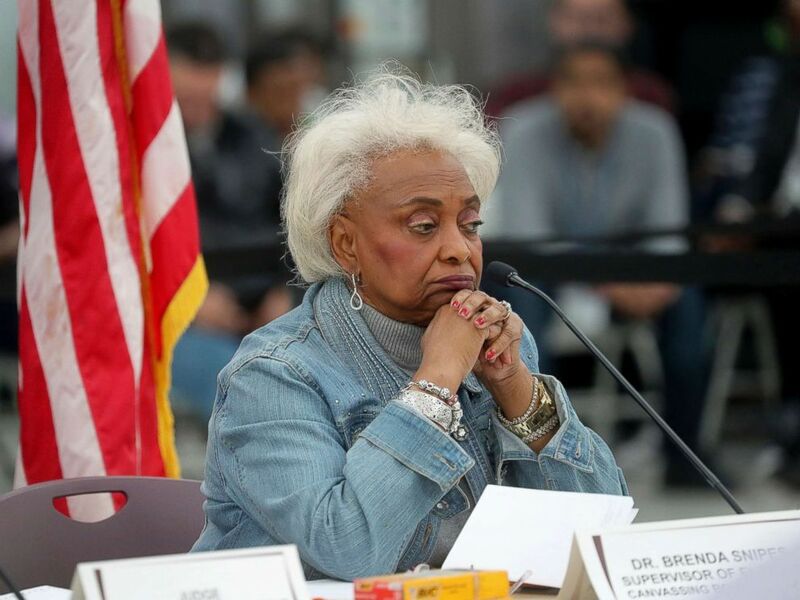 Broward County Supervisor of Elections Brenda Snipes explains to the canvassing board the discrepancy in vote counts during the hand count at the Broward County Supervisor of Elections office in Lauderhill, Fla., Nov. 17, 2018. Scott’s campaign successfully sued Snipes in federal court, as a judge ordered her to release vote totals. Amid allegations of “fraud” by Scott, Florida Attorney General Pam Bondi prompted the Florida Department of Law Enforcement to investigate Snipes, but no investigation ever materialized. A federal judge also said Scott’s team lacked evidence of misconduct. Her office reportedly intermingled about 20 provisional ballots that shouldn’t have been counted, out of a batch of 205. It also failed to meet a 3 p.m. deadline on Thursday, uploading results late to the state website after previously completing the first round of recounting on time. As Republicans alleged improprieties in Florida’s vote counting and recounting, attention turned repeatedly to Snipes and to Palm Beach County Supervisor of Elections Susan Bucher. In perhaps the best encapsulation of Florida’s recount problems, Snipes announced to a canvassing board meeting on Saturday that her office may have misplaced more than 2,000 ballots while counting votes in the state’s agriculture race. Recounting in other races had already been completed.